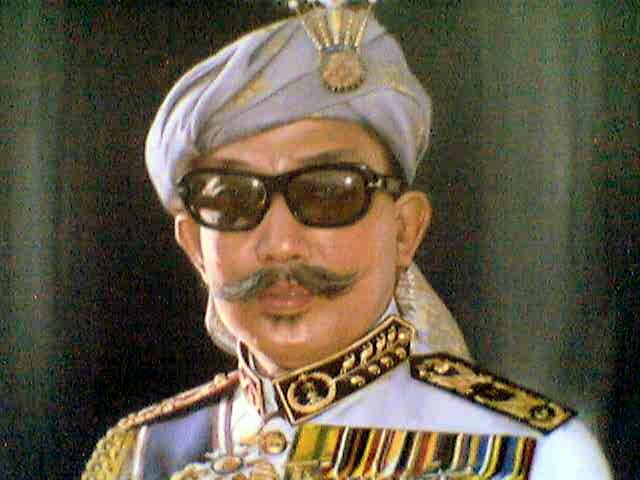 Sultan Omar Ali Saifuddin Saadul Khairi Waddien (September 23, 1914–September 7, 1986) was the Sultan of Brunei from June 4, 1950 until October 4, 1967, and was the chief minister of Brunei from July 1947 until 1959. He was the fifth son of Sultan Muhammad Jamalul Alam II and became Sultan following the death of his brother Ahmad Tajuddin. On June 9, 1953, he was knighted by Queen Elizabeth II. His Majesty refused to make Brunei be a part of the new federation of Malaysia. He abdicated voluntarily in 1967 and was succeeded by his son, Hassanal Bolkiah. He continued to be the Defense Minister of Brunei and a widely respected public figure.